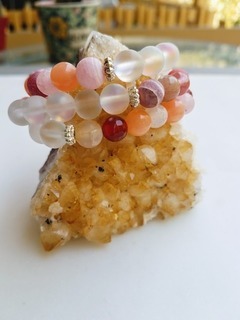 Glass, matte agate, carnelian, peach candy jade and quartz. 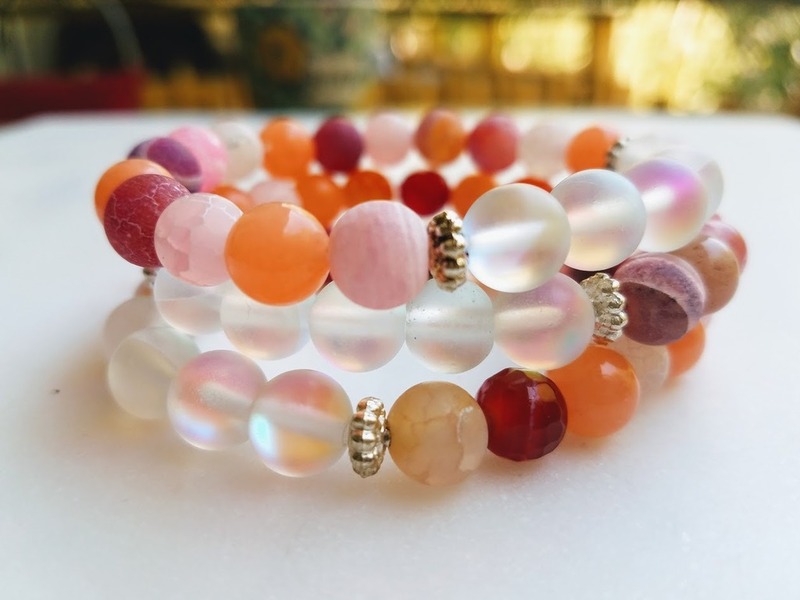 Listing is for one - 1-piece "Rose-Water Snow" stretch bracelet. Size: one size fits most - 7.25" small to medium wrist. *I can resize anything for free. Just send me a note with order. Son't see what you want? Customer work is always no additional charge - send a note with colors and stone ideas in the Contact Us form on this site.